Many factors are involved with keeping teeth in good condition. Besides brushing and flossing, changes in the body chemistry during certain times of life can also affect the dental health. 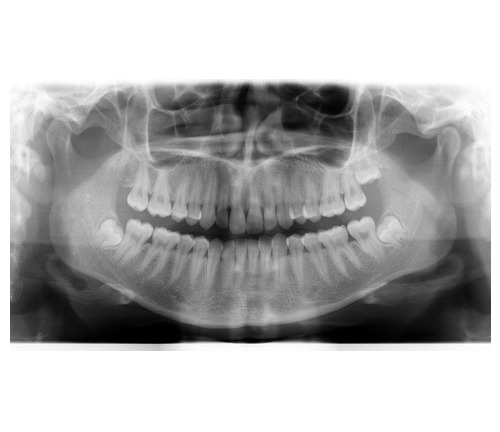 A report on the new study published in the journal Nature Reviews Endocrinology discusses the possibility that dental x-rays can be used to investigate the bone structure in the lower jaw, and predict who is at greater risk of fractures in the future. Maintaining proper nutrition and regular dental visits are proactive ways to detect health issues before they progress. By capturing images of the upper and lower jaw, a panoramic x-ray can discover bone abnormalities, TMD, jaw tumors, cysts or trauma, fractures or impacted teeth, and lead to effective diagnosis and treatment of bone and gum disease, oral cancers, and joint or sinus deformities. Grethe Jonasson, researcher at the Research Centre of the Public Dental Service in Västra Götaland initiated the fractures study, called “A prospective study of mandibular trabecular bone to predict fracture incidence in women: A low-cost screening tool in the dental clinic.” Jonasson explained, “Dental x-rays contain lots of information on bone structure. By analyzing these images, dentists can identify people who are at greater risk of fractures long before the first fracture occurs.” New pans from Gendex—the GXDP-700 and GXDP-300 provide practitioners with clear, sharp scans to advance diagnostic capabilities. While many factors affect bone density and the condition of the dentition, panoramic imaging is an effective way for dentists to monitor patients’ quality of life and make constructive recommendations for better dental health well into their senior years.